Many times, feng shui practitioners use other forms of energy healing, such as Reiki, in their work. Likewise, many energy healers incorporate principles from feng shui into their healing practices. Reiki and other forms of energy healing work synergistically with feng shui to help create positive flow of chi energy. Both feng shui and Reiki deal with facilitating optimal flow of life force energy, or chi. 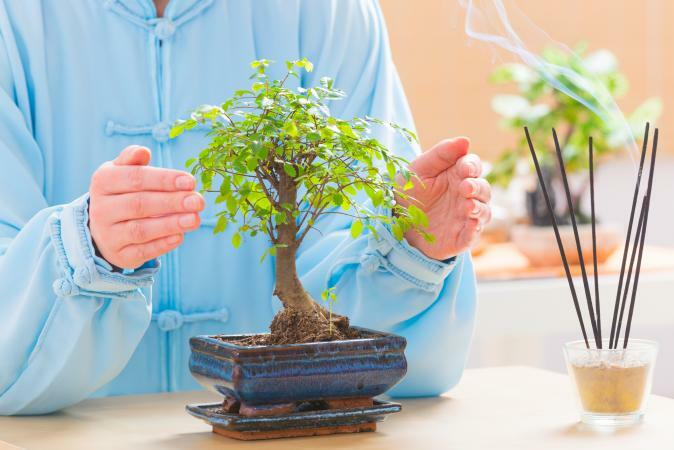 While Reiki originated in Japan and feng shui in China, the two are more similar in their philosophies and practices than they are different. For example, Cara Gallagher is a certified feng shui consultant and a Usui Reiki Master. She has been combining her knowledge of the two healing arts to help her clients experience balanced and positive energy in their lives to create harmony. According to Gallagher, "Reiki and feng shui are both powerful healing modalities. I like to think of Reiki as healing our bodies and feng shui healing our environment. Both feng shui and Reiki can improve our well-being, raise our energy level, and bring balance in our lives." While most people believe Reiki practitioners channel Reiki only to living beings, these energy healers know they can channel life force energy through their hands to objects, places, food, plants, and even the environment. Gallagher explains, "Traditionally, a Reiki practitioner gives Reiki treatment to a client. The Reiki practitioner is actually a conduit for the energy and is not doing the healing, but is a vessel of the Universal Life Force Energy. My ability to apply Reiki to the environment is simple. I can open up myself and let the Reiki energy flow from me, to the space in which I am working. Instead of using Reiki in a more traditional way of laying my hands upon someone, I send Reiki energy into the environment." Likewise, Reiki practitioners are able to send life force energy from a distance; there's no need to be in the space or with the person or object to do so. The ability to channel distance Reiki means a practitioner can help correct energy imbalances in a space, even when he or she isn't able to be physically present. Gallagher says she does this even before her initial in-home consultation with a client. "Before I even arrive at the desired location, I send Reiki energy to the client, his or her structure, and the surroundings. This practice makes for an easy application of the feng shui principles. I continue to run Reiki to the space and allow the healing energies to take hold." Gallagher also notes that sometimes clients feel nervous when she is in their space. "By sending Reiki energy, it keeps the consultation relaxed," Gallagher says. "It can become unsettling at times when I go into someone's personal space and give the person suggestions on how to improve his/her environment. My clients seem to be more open and receptive to the feng shui solutions when the Reiki energy is flowing. By using simple feng shui techniques, such as removing clutter, rearranging furniture and balancing the natural elements, I can improve the energy of any environment." Different practitioners may find areas where a combination of feng shui and Reiki pack a powerful punch. If the feng shui practitioner is also a Reiki Master, then he or she may be willing and able to teach the clients how to use Reiki energy to their benefit and attune them to the Reiki energy so they can channel it themselves. In order to channel Reiki energy, one must be attuned by a Reiki Master. This provides an extended level of service that empowers homeowners to take charge of the energetic health of both their home and their bodies. With such attunements, people may be able to facilitate feng shui cures enhanced by Reiki energy in various aspects of their lives. For example, according to Gallagher, someone wishing to improve love and relationships, "...May want to incorporate romantic colors such as pink or purple in our bedroom. Our bedroom is a perfect place to set that romantic tone by pairing items up and displaying objects that represent love, to ignite the flames of passion. We might want to use candles, crystals and fresh flowers to enhance our relationships in our personal spaces." 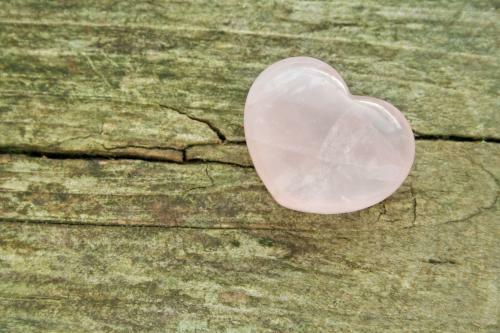 Channeling Reiki energy to a piece of rose quartz and placing next to the bed reinforces the energy of love and romance. "When we look at our careers, the color that represents our life's purpose is black, so to improve our career, we might want to use a black briefcase, portfolio, or even a black pen can start the success rolling," Gallagher says. "The element we associate with our career is water. So anything associated with the ocean can be used to enhance our career. For example, we can incorporate a picture of a waterfall, shells, fish or any object found in the waters of the world, which can improve our own success." Reiki can help here, as well. A Reiki practitioner can channel Reiki energy to the water elements of a space, and the water will hold the energy. "Everyone desires to make more money or you might just want to hold onto the wealth you have acquired," Gallager says. "So to increase your wealth or to keep the money you already have, you might want to incorporate objects of wealth into your life. I like to fill a rice bowl with coins. A rice bowl is a sacred object in feng shui because it represents abundance. When we pair up a rice bowl with lots of coins and especially gold coins we can increase our wealth and abundance." Channeling Reiki to these objects that represent prosperity can give them even more energy for attracting wealth energy. Reiki is one form of energy healing, and feng shui is another. Separately, each can facilitate growth and changes by helping to improve the flow of life force energy. When combined, Reiki and feng shui provide an even more powerful tool for personal empowerment.